I originally discovered yoga when living in Morocco and co-owning a small internet-based branding and design agency. It came in the form of a skill exchange - daily yoga tuition for a new identity. I remember lying in Savasana at the end of my first practice realising I'd found something I wanted to pursue for a lifetime. I'd always been aware of yoga and superficially liked the idea - I just didn't know how to approach it. For me, movement had been very much about exercise. And although at the time I’d have considered myself broad-minded and up-for-it, little did I know how yoga would take me to psychological and physical places surpassing anything I’d previously experienced. Fast forward several years and yoga is a cornerstone of my life. Nothing else has offered me such profound mental, spiritual and physical growth and support. And that's why I started so we flow... as a way to inspire more men to get involved - move and open their eyes to what can be unravelled and achieved through a dedicated practice - be it yoga or something else. It's still early days but I’m humbled by how the brand and products are evolving and flourishing in a busy world. Whatever happens we’ll stay true to our roots - creating understated, versatile and functional clothing that never compromises on quality and always considers the bigger picture, the people it helps turn on to yoga and those that make it all possible. Men who did any yoga were wearing ultra technical branded sportswear, old gym rags, cut-offs and bohemian mash-ups - or any combination of all 4. And still never feeling quite right. 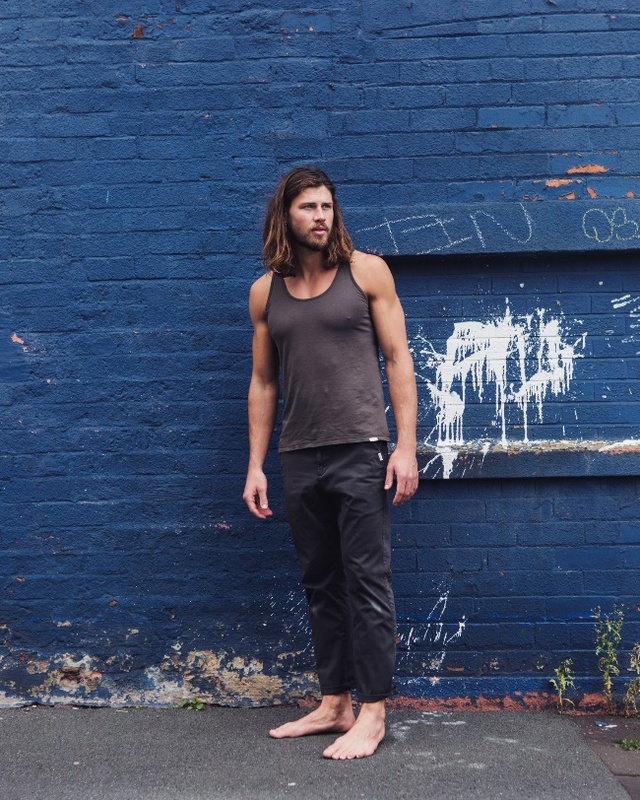 We saw the need for fit-for-purpose men’s movement clothing: to be the perfect fit for any man’s discipline and day-to-day life, yet flexible enough to embrace individual style. But that’s only half the story. Yoga has changed our lives, and our friends and families’ lives, for the better. Fact is we want more men to put their bodies and minds into motion and get the same rewards.Hopefully so we flow… will help make movement more accessible and effortless for all men - beginners and experts, introverts and extroverts, fanatics and casuals.